Imagine a world where your reporting process practically runs itself – new data uploads on schedule to ClearPoint, reminders are sent automatically to owners for updates, your account locks down for official review at the same time each month, and reports are distributed like clockwork before meetings. Sound too good to be true? It isn’t – ClearPoint is bringing that world to you in our upcoming release, ClearPoint 12.0. This episode of the “I Didn’t Know ClearPoint Could Do That!? 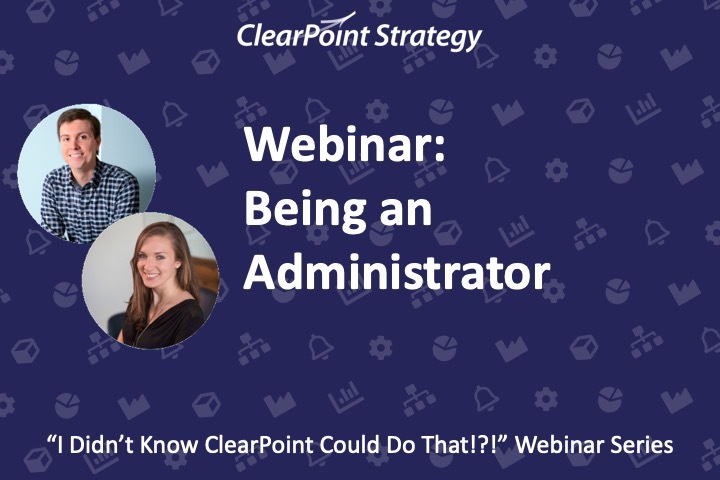 !” Webinar Series provides a sneak peek at new features, walks you through how to automate up to 70% of your management reporting process, and shows you how to keep teammates up to date on changes. Great day – new webinar. It’s Thursday, which is almost Friday. 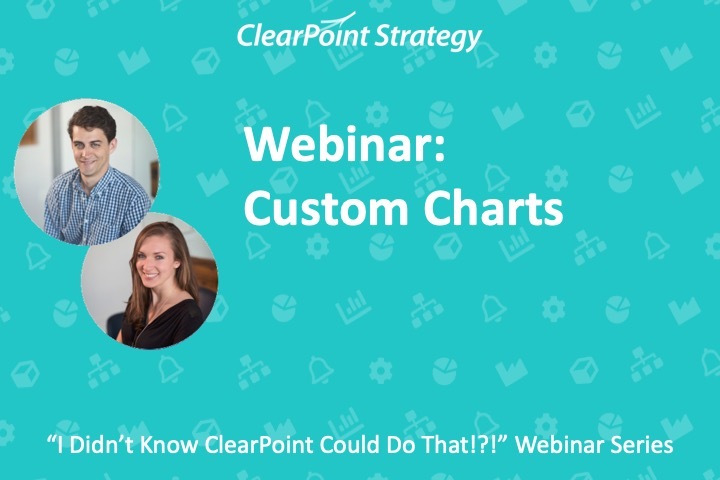 If you joined our last webinar, then you know the general format. 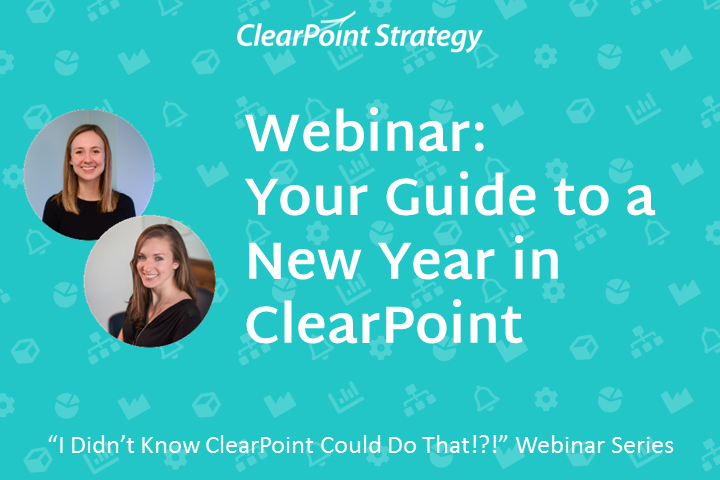 We want to keep these short, but informative and useful in your everyday ClearPoint Lives. Okay, so buckle up because here we go…. It’s very useful for seeing how we did in our last period, but we cannot really see any trends. For revenue, we’re yellow now, but is that good or bad? Were we red, green, or yellow last period? Now we can do some trend analysis, but all the icons on here are kind of making me nauseous . Now, we have an awesome heat map! We can click down into each individual measure to find out what is happening! The report is dynamic since it is filtering, so if one of these measures goes from red to yellow or green, we will no longer see it on the report. Likewise, if a measure turns red, then it will start to show up. As you probably know, all pages in ClearPoint can be exported to PDF and emailed, but Summary Views can also be exported to Excel. For Initiatives and Objectives, you would build Summary Views the same way. Now you’ve seen a few examples of Summary Views you can build and you have seen a lot of the different options available to you. It was cool that Joseph pulled in all of those series, but I think I remember from our training that you could also create calculated fields and pull those into a summary report as well. How do you do that? Great question. Easy. First, create the field. Can you also show us how to build a summary report for initiatives? Also, a follow up question – It looks like you can filter your initiatives by date. Can you show us how to do that? Well, we are running out of time over here, and want to be sure to respect your time and our promise to keep these short and sweet. If you submitted a question we did not have time to answer on the webinar, we will follow up with you via email. Also, if anyone thinks of additional questions later, feel free to reach out! Even if a few weeks from now you want to create a report, but are not sure how to get exactly what you have in mind into ClearPoint, shoot us an email and we’re happy to walk you through it. Thanks for joining us, have a great day, and we’ll see you all on the next “I didn’t know ClearPoint could do that!? !” Webinar!